In celebration; the Spirit Place has welcomed the arrival of our beloved Charles Albert Youpee, Sr. (Hinhan Duta-Red Owl) on Wednesday, December 12, 2018 at his home in Great Falls. Montana. Natural causes. Rocky was delivered into the world on July 22, 1967 at the Poplar Community Hospital; to Melvene Spotted Bird (mother) and Louis Youpee, Jr. (father). It was his grandmother Virginia who gave him the nickname Rocky, while observing the toddler constantly throwing rocks. During his school years Rocky resided with an adoptive family in Spokane, Washington under the LDS placement program and then moved back to his hometown to play basketball for the Brockton Warriors (#42). In 1989, Rocky enrolled with the Anaconda Job Corps where he completed his courses as a Heavy Equipment Operator to earn his OJT certificate. Rocky enjoyed working and always seemed to find gainful employment-occupations to include: position upgrades with A &S Industries, geographical seismic surveyor, Teacher-Aid at the Poplar Public schools, grounds engineer with Tribal Express and Casino, Forestry firefighter with BIA Indian Firefighter Program, bartender and auto-mechanic. But his favorite pastime was being an accountable father and papa. Rocky had one special companion-his union with Karen Jones brought him three sons and three daughters who he loved very much. Rocky enjoyed the simple things in life. Always happy, helping out (never said no), everyone who was familiar with Rocky knew he loved to tease and joke. He was fun loving, talkative and caring and a strong man. He was a story teller and could hold his listeners for hours, and then ask for more of the same. 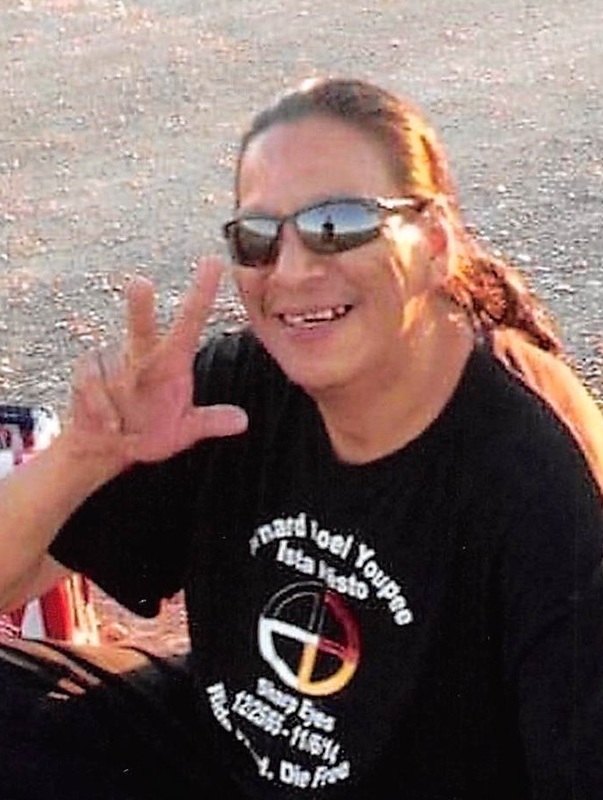 His hobbies included track hunting and walking brush, bank fishing, butchering and dressing deer meat, traveling around with his father’s Harley Davidson motorcycles, or just cruising with any of his relatives that wanted to visit and catch up. He had a daily interest in watching YouTube videos; from music to conspiracy theories about aliens, Bigfoot and ghosts. Rocky had a huge love to play pool and was considered by many to be one of the most formidable contestant shooters around. He played in tournaments all over Montana and North Dakota while capturing several championships. He loved his family very much. A proud father of six beautiful children, he spent much of his time teaching them and loving them. Rocky lived with the love of God in his heart and when he said “I love you” you knew he meant it. Reunited with his mother Melvene Spotted Bird and brothers Bernard Youpee and Merlin Youpee; grandparents Louis Youpee, Sr., Bernice (Tattooed) Youpee, John Spotted Bird and Virginia (Powell) Spotted Bird. 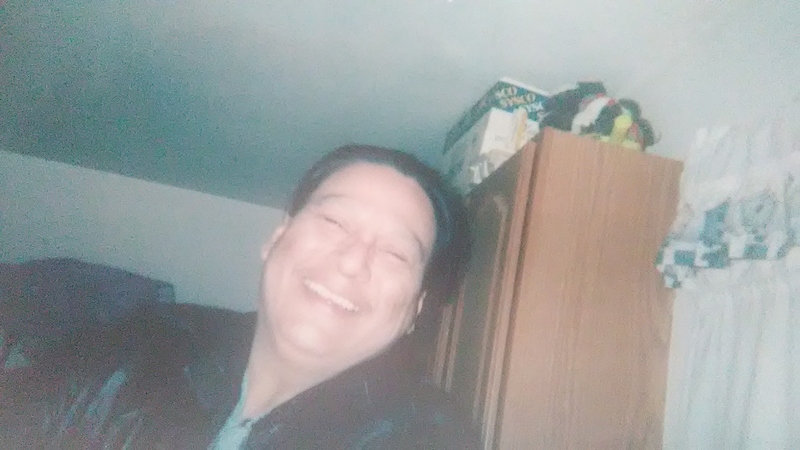 Survived by his father Louis (Ernestine) Youpee, Jr.; brother Paul White Bear; sisters Amber White Bear, Minot, ND, Britney Youpee-Spotted Bird, Poplar, MT, Lana FourStar, Frazer, MT, and Lois Youpee, Parshall, ND. Rocky had numerous adopted brothers and sisters throughout the United States and loved them all; his children Tiona (Doug) Brockton, MT, Theada, Charles “RJ”, Quentin, Connie Melvene and Lennox Louis; grandchildren Cambrie, Casey, Melvene; aunts Jewel Hanna, Doris Spotted Bird, Frances Iceman, Jamie Youpee, Kate Youpee, Millie Youpee; uncles Curly Youpee, Marvin Youpee, Sr., Dwight Youpee, Cary Youpee, Reney Martell, Bob Youpee, Sr.; grandpa Lloyd Youpee; nieces and nephews Marlene Youpee, Edmund Youpee, Jewell Youpee, Brent, Breah and Brielle Jackson, Chantell Lingle, Vincent, Joedaus, Logan, Baby K. Leroy, Jacob, Kiana, and Kuinn Youpee; adopted mothers Ida Cantrell, Judy Johnson, Lois Longtree, Juanita Youngman, Judy Bow; adopted father Arnie GoodBird; adopted sisters, Charlene Drum, Candace Spotted Bird, Virginia Spotted Bird, Beverly Anderson, Tiffany Anderson, Lelanda Spotted Bird, Kori Good Bird; adopted brothers, Darryl “Henry” Lonebear, The GreyHawk boys, Frank DeMarrias, Richard Campbell Sr., Myron Spotted Bird, Justin Dupree, Kenny Ayers, OJ Grey Bear, and Sonny Bear; He had so many relatives that he loved very much and forgive us for not writing down your name-but he loved you. A wake will be held on Tuesday, December 18, 2018 at 7:00 p.m. at the Poplar Cultural Center in Poplar, MT. Funeral services will be held on Wednesday, December 19, 2018 at 10:00 a.m. at the Poplar Cultural Center. Interment will follow at Fort Kipp Cemetery. Condolences for the family may be left at www.claytonstevensonchapel.com. Clayton Stevenson Memorial Chapel has been entrusted with arrangements. I hope you gave my dad a big ol’ it for me. Wish we got to catch up but I’m glad your all reunited. I just keep hearing dad and you laughing about something just corny💕.. I just hope I have the strength too.. carry on. i will sure miss u my brother..